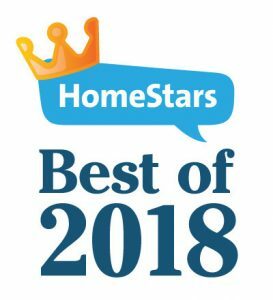 Below are some roof cleaning tips that you can adapt to make your roof cleaning experience less hectic and more effective and avoid future roof repair. The first thing that you need to do is to clean all the debris that may have accumulated during the winter period. 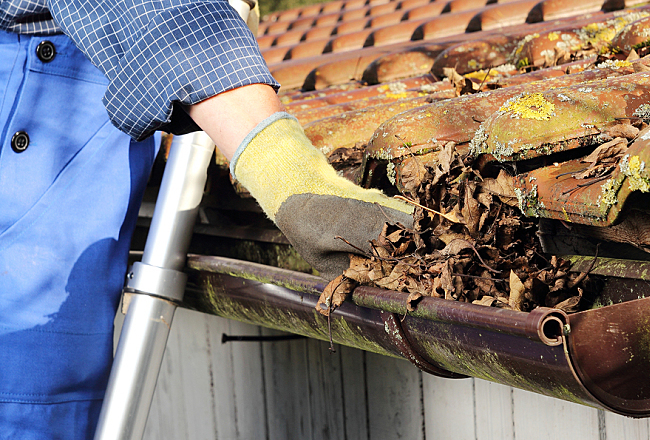 During this time, debris gathers in the roof gutters, in the drainage points, and on the flat surfaces as well. 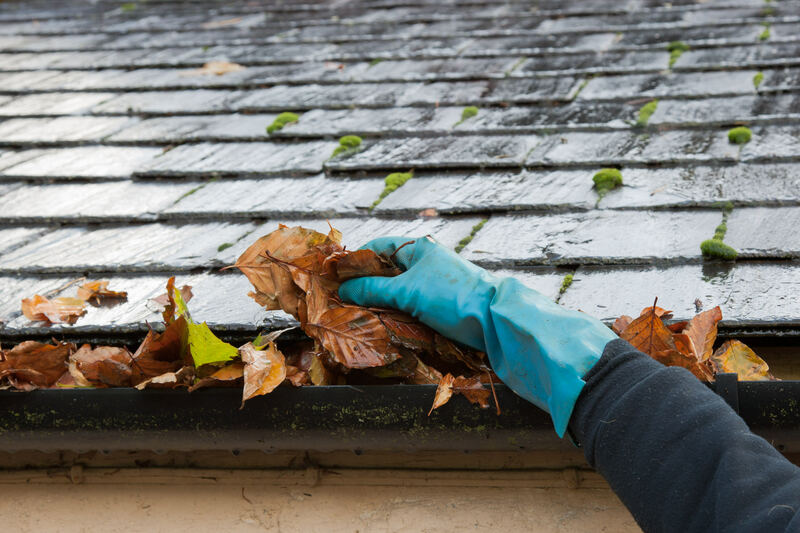 In most cases, what you will find on your rooftop is organic matter like leaves, dirt, and branches. 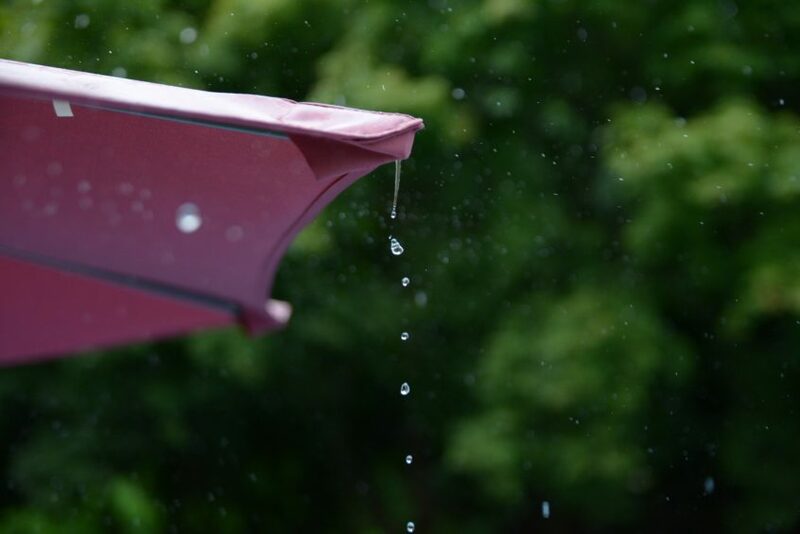 Do not clear the debris using metal-tipped instruments as they may sometimes end up damaging the shingles which may end up adding more problems to your roof. 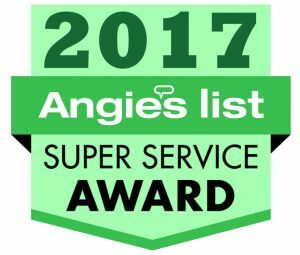 You will probably want to go for a solution that will kill all the mold and algae that have grown on your rooftop. You can even make your roof cleaning solution using specialized ingredients. At no point in time should you use a power washer to clean your roof? These agents are usually too strong for the roof granules which can end up being lifted in the process due to the pressure, and this can end up costing you more bucks to repair. You need to choose a humid and overcast day to clean your rooftop. A day that is not too hot. There is a chance that the sun can end up drying off the cleaning agents before they get the chance to kill off all of the mold and algae. Roof cleaning is not an easy task to perform. The roof can be very slippery and dangerous, especially after the roof cleaning agent has been applied. It is, thus, recommended that you always start cleaning your roof from the bottom going up. This also gives the detergent time to dry up in the process. You can decide to saturate a 3ft. High by a 10ft. 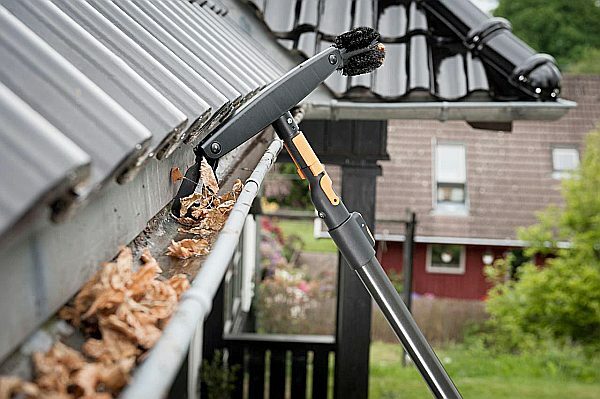 A wide section of the roof at a time using a garden sprayer and then use a brush or broom to remove any debris that may have stuck on the roof at the time. The brush can also help to dislodge the algae and mold. You need to be gentle as you do this as if you try too hard to dislodge the mold and algae, you may also end up damaging the shingles. It is advisable that you always keep the section that you are working on dry for as long as you are still working on it. After that, you can wait for the section to dry off, then rinse it with clean water then move to the next section. 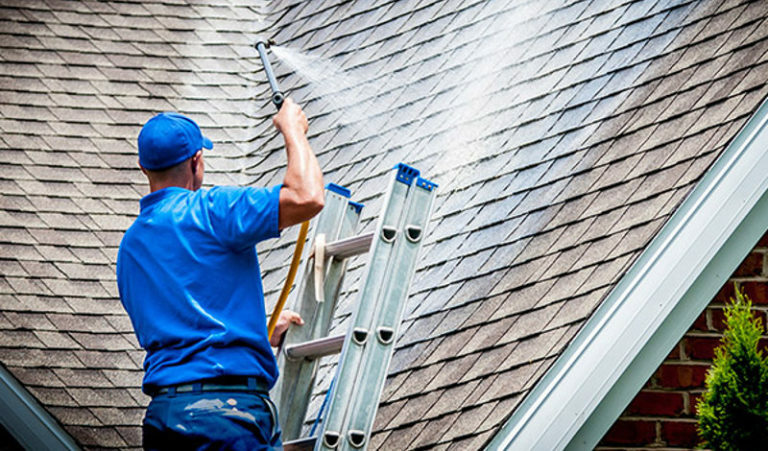 If you take the necessary steps always to clean your roof on a regular basis, preferably twice a year, then you will have a well maintained and beautiful roof for a long period before you finally have to replace it which would be about after 20 years or so.